The New Year is always a busy time for job seekers and businesses looking to fill roles for the coming year. But the world of job search has changed significantly in recent years. In the past businesses would list a vacancy on SEEK or another major job board, look at the resumes they had on file and wait for people to apply. If they weren’t confident in their recruitment skills, were time poor or simply wanted a bigger applicant pool or more qualified applicants, they would engage a recruitment agency. They would follow essentially the same process: list the job on major jobs boards, look at the resumes they had on file and wait for people to apply. Theoretically they would also quietly chat with people in their network to invite applications. Social media has changed the game. 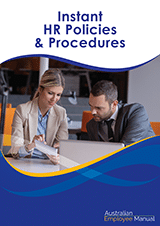 The trouble is most businesses (including recruitment consultancies) haven’t kept up. They are still playing by the old rules and are missing out on great candidates who don’t play by the old rules. Recently I went through the first 3 pages of Google results for the search term “Brisbane Recruitment Agencies” to check out which were using social media as part of their recruitment strategy. It was seriously depressing! I was not looking for anything too fancy – just looking for recruitment consultants who had adopted the strategies that were being taught to job seekers through commonly referred to books such as What Colour is Your Parachute. You see, if job seekers are being taught to use social media in a particular way to help them find jobs, a sensible recruitment consultant looking for great candidates would adopt the same strategies in order to be found by the job seekers. At the moment the seekers are seeking … but the recruiters are not looking in the same way. 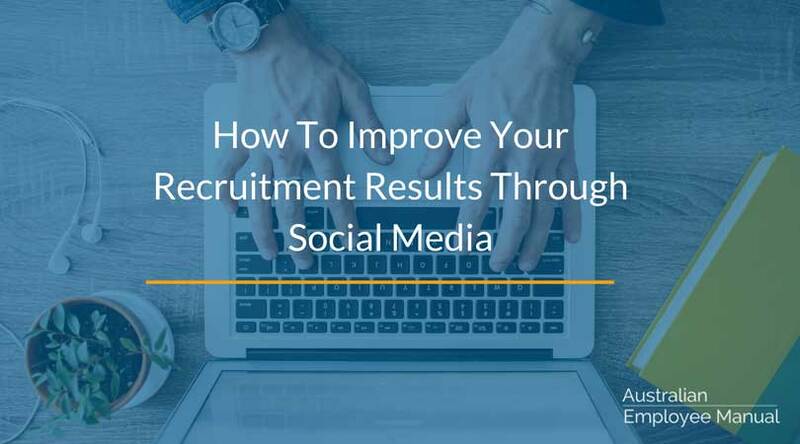 If you are in business, adopt this social media recruiting strategy when you are looking for candidates (and use these as a way to weed out the good recruitment consultants from the old-school ones). If you recruit to fill more than 5 jobs in a year, you need to stay current on training being given to job seekers through books and online blogs. Ensure you make it easy for job seekers to find you by matching their search strategy. If you are recruiting for employees your non-negotiable social media presence is LinkedIn. Your LinkedIn page should provide detailed information about your company, as well as provide immediate links to your vacancies. Tip: Check the numbers of people following a recruitment agency or business page. If it’s only a tiny handful, take it as a warning flag. If you don’t know what you are doing with social media, hire expert social media trainers and build your skills. If you are looking for IT or web people (or web savvy people), you need to be on Twitter & Google+. If you are looking for mums, you need to be on Facebook & Pinterest. Match your social media presence to where your potential applicants are located. If you have a social media presence, ideally have links to your pages in the top right-hand banner on all your website pages … just under your contact phone number. Don’t hide them on a contact us page. If you do have social media links in your design – make sure they work. At least 50% of the current Brisbane recruitment agency links didn’t go anywhere, were broken or created a “share this page” type message. Top right of your webpage are for navigation links only. Don’t list your current vacancies only on the jobs posted page (where people have to go hunting for them). Add your vacancies as a comment/link so your vacancies appear in the main news feed of a person’s page. Most recruitment consultants share great articles and information via social media. Remember to also share each and every vacancy you list across all forms of social media. Only tweet, list, share or pin current links. If you regularly send out links that take candidates to positions that have closed or no longer being offered, people will learn to ignore your vacancies. And while we are on currency, having a social media presence and not using it for months at a time suggests that perhaps business is slow. If you have a presence, keep it fresh and regularly updated. Keywords are the words people type into Google to find things. You are writing for two audiences – Google and people. If you are advertising a vacancy, the most important keyword is the job title. Yes, it is funky to use Office Superstar as the job title, but Google doesn’t understand that the term means the same as Office Manager or Executive Assistant. Use both terms in the job title “Office Superstar / Executive Assistant” and you will appear more in search engine results. Also remember to include common abbreviations as some people search only by the abbreviation e.g. : Human Resource (HR) Officer, Registered Nurse (RN). Keywording also goes for sharing links to your vacancies. Don’t just say “Recruitment Company name is hiring <link>”. Keyword the link “Engineering vacancy in Brisbane <link>” … and only if you have space then include your company name. Love them or loathe them, hashtags are designed to make it easier for people to search for information. Actively searching savvy job seekers as well as passive seekers, will often set up a web stream around a hashtag, to feed them every job that may come up. Hashtag EVERY vacancy. Hashtags to use: #hiring #HR #jobopening #employment #recruitment #jobsearch #joblisting. The web is virtually instantaneous. If you try a strategy to recruit people to your vacancy and it isn’t delivering the results you want, adjust your strategy/keywords/places you advertise and measure the new results. Never be afraid to adjust, test and learn. One last thing – remember that all your ads on social media still need to comply with all the laws surrounding anti-discrimination in job vacancy advertising. Social does not mean that all bets are off!